(NEW 2017 Edition!) 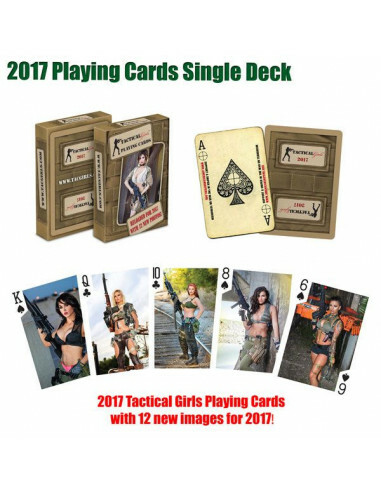 TacGirls sorted through 6 years of calendar images to build the ultimate deck Tactical Girls playing cards. These will be a hit at deer camp or while passing the time at your FOB. Cards mfg in the U.S.A. by the U.S. 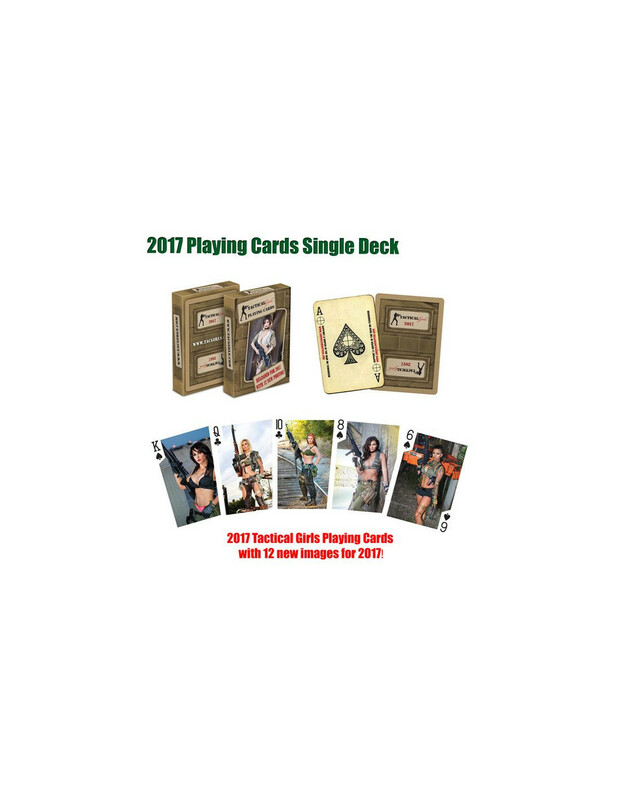 Playing Card Co., the same company that makes Bicycle® playing cards.